Explore the land of Skyrim is - leave the northern province and head to the shore of the island Solstheim. On the way to the mystery of return Drakonorozhdёnnogo you meet Dunmer settlers in Crow rock and indigenous people - Skaal tribe. Become the most important Drakonorozhdёnnym - Use the power of voice in the fight with the first Drakonorozhdёnnym - Mirak. Learn new spells and shouts of, for example, "The Incarnation of the Dragon", which allows you to call upon the power of the entire inner dragon and deliver powerful blows, and reinforces the other cries. "Cyclone" - is a small tornado. "Submission will" - using all three words scream makes the dragon fight on the side of the protagonist. "Fighting rage" - similar to the cry of "Elemental fury", but acts on non-player characters. New forces - Know the dark forces while traveling to a new Daedric dimension - Apocrypha, Daedra Prince House Hermaeus Mora. Collect books of forbidden knowledge and choose a new path of development of skills and abilities. New dungeons, creatures, weapons, and so on - put on bone, chitin, carved nordskie or stalgrimovye armor and weapons to use stalgrimovoe way through a lot of dungeons and find unique artifacts! Compete with formidable enemies such as ash offspring, reklingi and more! 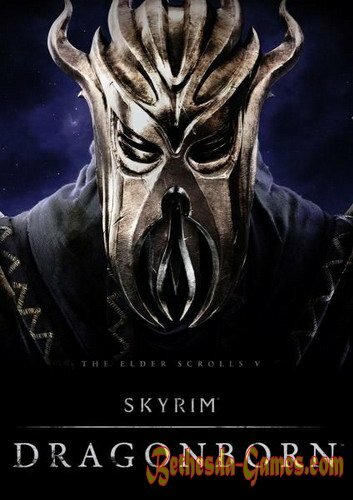 Dragonborn storyline begins with an attack on a group of aggressive supporters of the protagonist of a "Cult of Mirach" in order to eliminate false Drakonorozhdёnnogo. 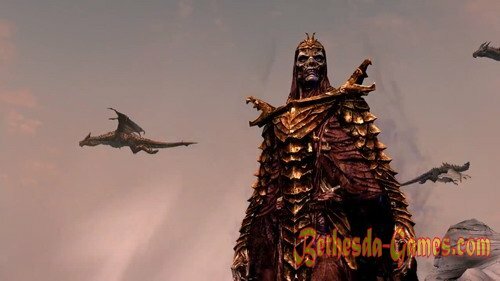 From the corpse of one of them can take a note that the name of "Mirak" and describes a method by which the detachment moved to Skyrim. The road continues to the docks Windhelm, where the captain of a small ship can take a hero to Solstheim. As Dragonborn can also meet with representatives of the ancient guild of assassins in Tamriel - Morag Tong, whose ideology is very different from that of the Dark Brotherhood. Fulfill your dream and Saddle dragons - Fulfilling a dream and Saddle scaly monster!